For many people, getting access to the right medical care at the right time, for the right price, by the right physician clinician is a challenge. Patients want their medical care and access to be as easy as booking an airline ticket or reserving a table at the restaurant. That’s according to Craig Richardville, Chief Information & Analytics Officer for one of the largest U.S. health systems, whose team is focused on applying strategic services and technology to all aspects of care delivery—in other words, ensuring that medical care is high quality, efficient and patient-centered. Richardville leads the information services team at Carolinas HealthCare System. With nearly 40 hospitals and 900 care locations, the Information and Analytics Services department has received the American Hospital Association’s “Most Wired Award” for its progressive use of technology 13 years in a row and received the similar “Most Wired Advanced” award in 2016. Richardville’s division provides more than traditional technology services. In the last several years, it has expanded to advise on a range of topics including analytics, patient engagement, virtual health, population health and mobile services. In part, the Information and Analytics Services team is able to offer these services due to the depth of its team, which includes technologists, project managers, usability experts, implementation and change management specialists and clinicians. In recent years, the Information and Analytics Services department has been diligently working to create applications that encourage patients to engage with their own health and wellness by removing many of the barriers traditionally associated with health care. One such project is an online patient portal, MyCarolinas. 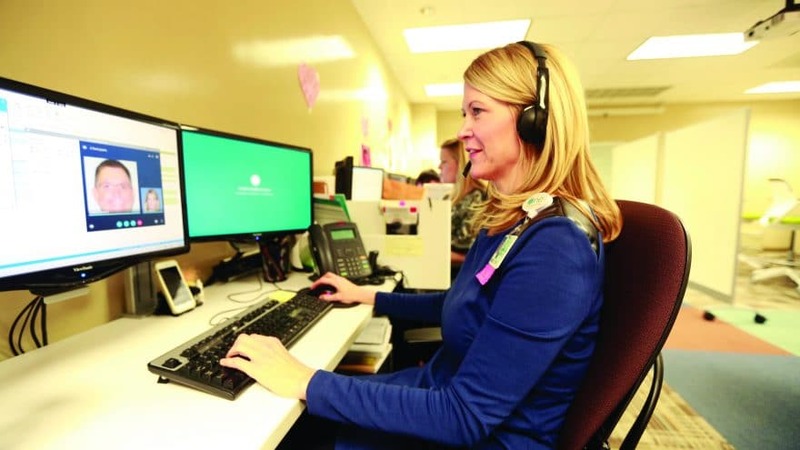 The system allows patients to remotely contact physicians with questions or to report health information rather than scheduling and appearing for an appointment in person. After logging into the portal with their smartphone or computer, patients can schedule appointments, pay bills, view health videos, conduct electronic visits for low-level issues, and view lab and radiology results from their homes. One of the most useful features of MyCarolinas is that nearly all of the notes that doctors enter into patients’ medical records, both inpatient and using remote services, also appear online. By facilitating easy, online access to medical records, Richardville says MyCarolinas gives patients a fuller picture of their health. He says the idea behind MyCarolinas is “bringing the service to you instead of you coming to us.” Not only is giving patients easier access to their records more convenient—it also makes it easier for patients and physicians to communicate. For instance, in the traditional system that relies on patients going to the doctor’s office, physicians would only learn about their patients every few months or even every few years. 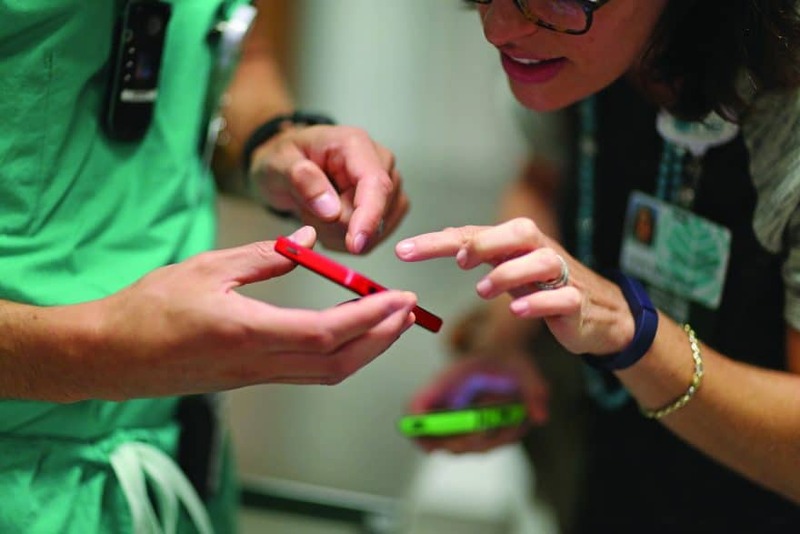 By sending data to their care managers through the MyCarolinas secure system, patients give clinicians a glimpse into their health status between visits. The same way that patients can view their information online, physicians can view patients’ health records from mobile devices, giving them more time and flexibility to consider diagnoses. A sister application to the MyCarolinas patient portal is the MyCarolinas Tracker mobile app, which helps patients track their health status through Bluetooth-enabled devices. Patients can collect data through devices like electronic blood pressure cuffs, scales and fitness apps. The data is then compiled in the tracker, where it provides patients with a dashboard view of how close they are to achieving their health goals. For patients managing chronic conditions, like diabetes or congestive heart failure, MyCarolinas Tracker sends the collected information to care managers who help patients stay on track with their clinical goals like glucose levels, weight and fitness activity. In one instance, Richardville recalls the tracker helped Carolinas HealthCare System staff intervene when a patient cut back on exercises important to managing his heart condition. Seeing changes in his tracker entries, staff members learned he had stopped exercising to spend more time caring for his wife, who was hospitalized for separate reasons. Staff members prescribed the patient new exercises to be completed near his wife’s bedside. Richardville and his team also have developed what they call Virtual Visit, which allows patients to make video calls to a provider, receive diagnoses and even get prescriptions filled. Like the tracker and patient portal, Virtual Visit makes it easier for patients to receive consistent care by not requiring an appointment. Instead, patients simply log in to the system via mobile device or camera-equipped computer and are connected to an available provider. Information from Virtual Visit sessions are automatically transmitted to their medical records so their primary care physician can stay up to date. While online platforms like Virtual Visit and MyCarolinas make it easier for patients to access health care, Richardville knows they can also potentially alienate patients who are not computer savvy. To prevent that from happening, he says it’s essential to find solutions for those who are hesitant to use the newest technology, either because they are intimidated by mobile devices or can’t afford them. Richardville says one potential alternative to the current systems could involve automated phone calls to patients. “We may send them a phone call at 9 a.m., and when they pick up the phone, a service will remind them to take their medications and provide any health instructions they need,” he says. For Richardville, revolutionizing health care through technology isn’t just about creating new computer applications—it’s about enabling patients to access the right care, at the right time, for the right price by the right provider. “It’s our responsibility not to require people to use a certain technology, but to find what works for their life,” he says. His hope is patients will make checking their health information, whether online or over the phone, a daily habit. 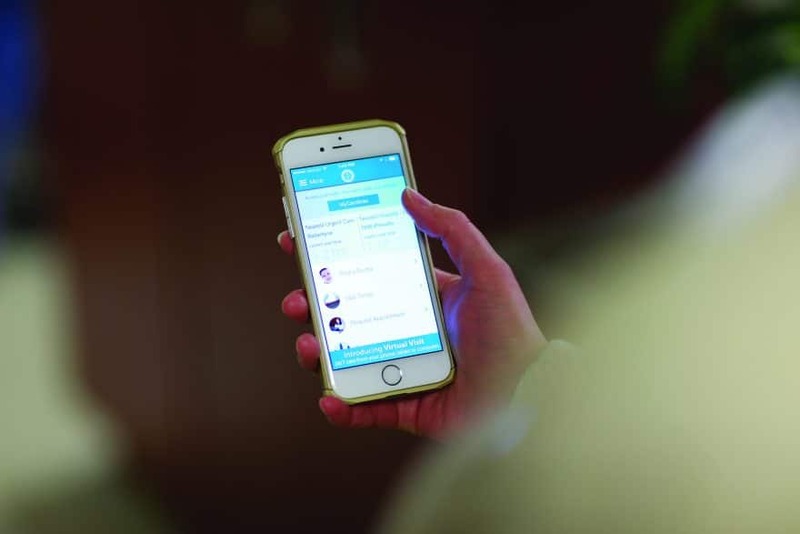 “In the same way you might check Facebook or email, you’ll check your health status,” he says.